Individual oatmeal muffins, diabetic friendly, gluten free and YUMMY!!! So, I haven’t blogged in over three months. Work, school, and lack of blogging motivation have all contributed to my lack of typing posts. However, school is over, work is the same, and my motivation is slowly creeping back up. 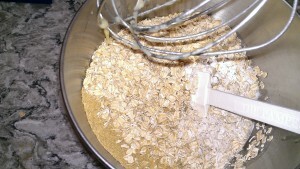 I am going to dip my toes back in to the blogging world with a recipe I found and adapted from Sugar Free Mom. I made a couple of changes, but the recipe was pretty good when I made it exactly as she did. I just like to put my own spin on things. 🙂 I call this recipe “Oatmeal To Go”, because it really is like a little baked oatmeal. It is dense, but not heavy. 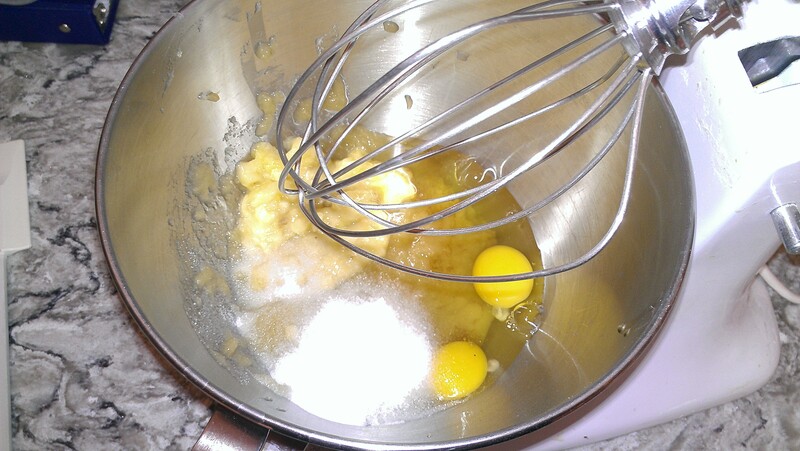 The batter will seem very wet, but don’t let that worry you. 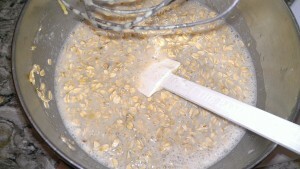 The oats need the milk to soak into the oatmeal. 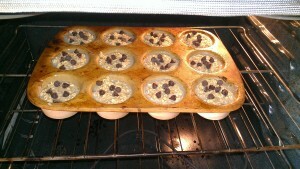 I topped the batch in the picture with dark chocolate chips, but have also used blueberries. 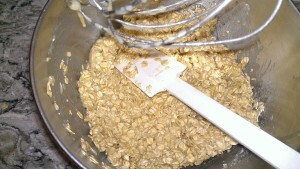 You can also use nuts, or raisins. Any number of things! Be creative! 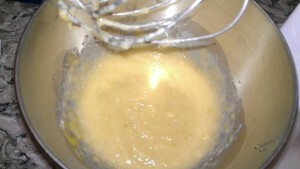 Mix eggs, vanilla, applesauce, mashed banana and Stevia together in a bowl. 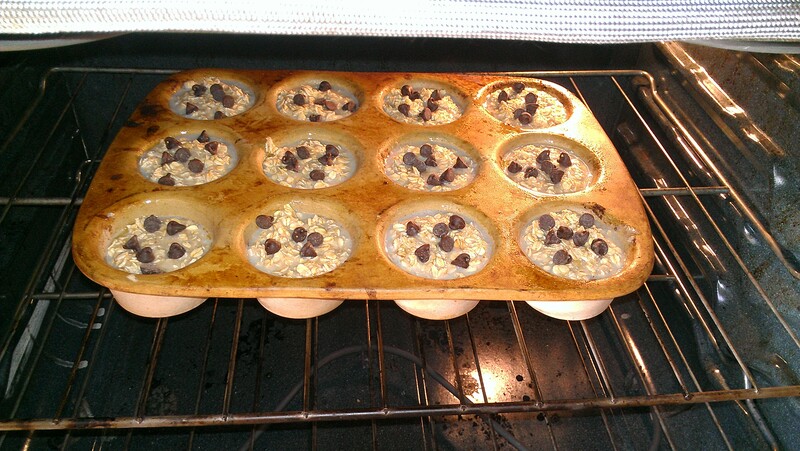 Spray a muffin tin with cooking spray or use cupcake liners. Pour mixture evenly into cups. 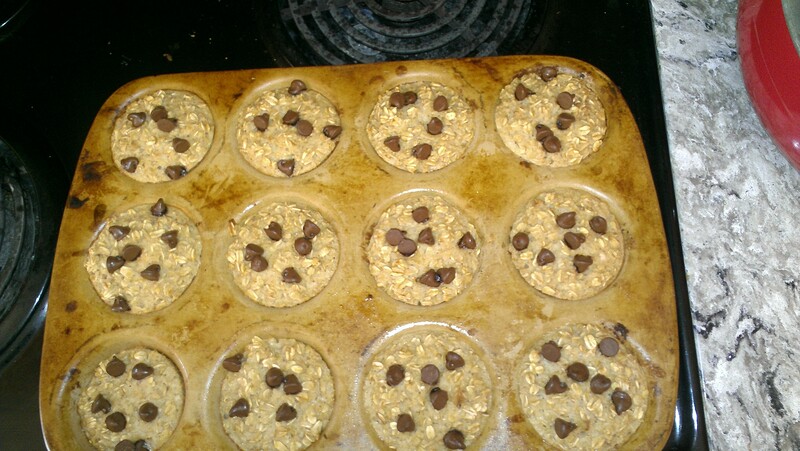 At this point you can top your muffins with whatever topping you like. 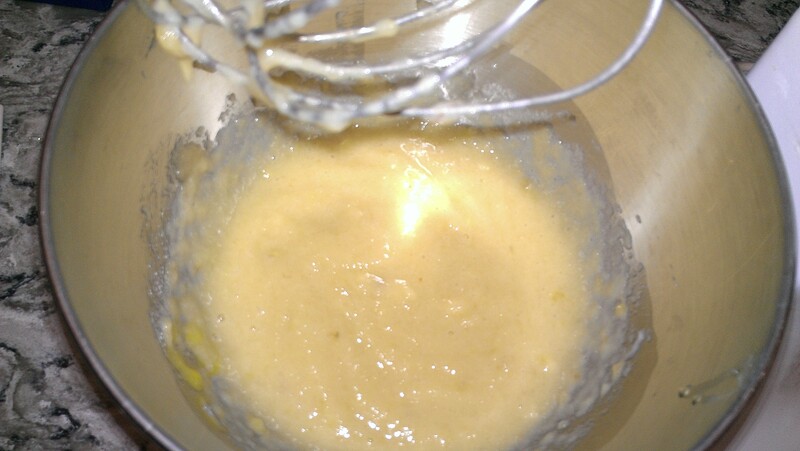 When I used the fruit, I pushed it down into the batter. 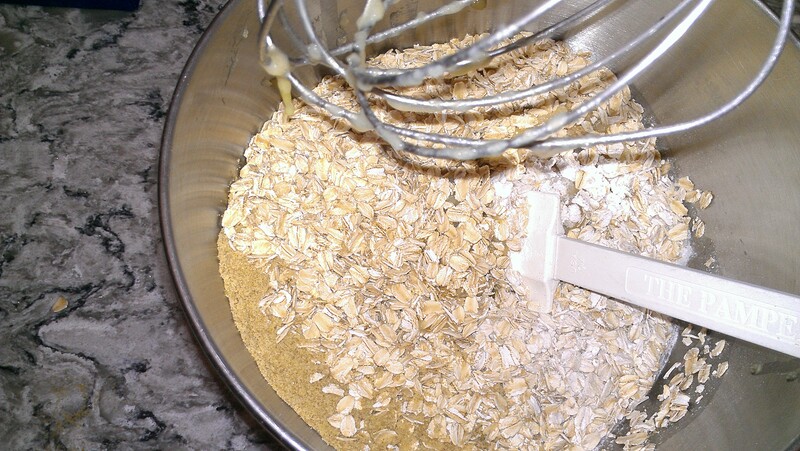 Add oats, baking powder, chia seeds (or flaxseed meal), salt and cinnamon. 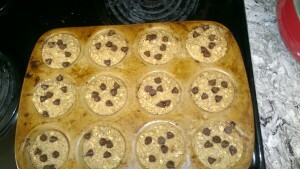 I put these little muffins into baggies and popped them in the freezer. Then I just grab a baggie out and either microwave to warm, or let the thaw on their own. 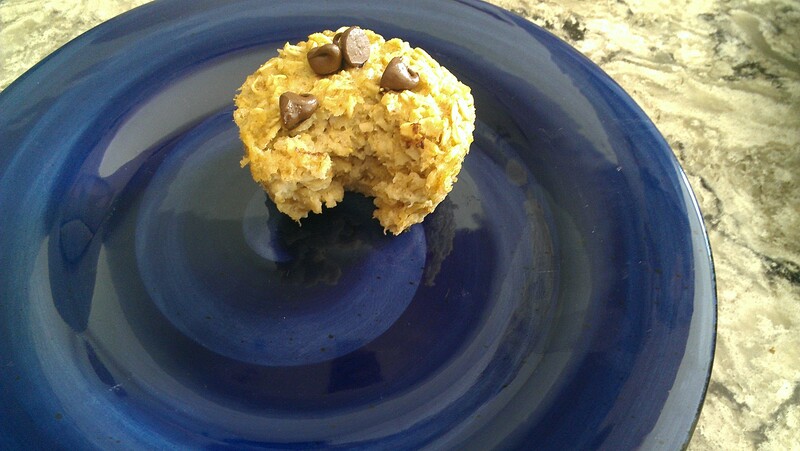 They make a great low calorie snack, or a healthy part of breakfast. Oh, thanks very much for posting this! It is gonna aid me when I research Chia Seeds at the store! Super Amazing!